In 2004, after an exhaustive real estate search that covered most of San Diego County, my wife and I purchased a home in Point Loma. When we began our home search, Point Loma was on the short list of ideal neighborhoods to move into, followed closely by Mission Hills. Temperate ocean breezes, stunning San Diego bay and ocean views, quaint “village” with small-town ambience, easy access to a vibrant boating community, San Diego’s freshest seafood, quiet streets, good schools, and scenic walks are just a few of the selling points of Point Loma. According to Trip Advisor, out of roughly 250 attractions in all of San Diego, Point Loma ranks in the top 12. With the many wonders of San Diego, the fact that a neighborhood ranks as a top attraction speaks highly of just how special Point Loma is. Having lived and spent time in many of San Diego’s varied neighborhoods, I can still say Point Loma is my favorite. It has been exciting to see the many changes that have unfolded in this neighborhood in recent years. Liberty Station continues to add more and more amenities to the community; from concerts, stores and restaurants, to arts programs and waterfront park space. Many parts of Point Loma have also seen continued improvement through remodeling of older homes and some new construction. Point Loma has also recently seen the addition of several upscale new townhome and condominium projects. Point Loma’s waterfront continues to be more and more neighborhood and people friendly. Read through the details below, or use the quicklinks above to skip directly to sections of interest to find out more about the amazing community and neighborhood of Point Loma! Without Point Loma there would be no California! Well, maybe that’s a bit of an exaggeration. Portuguese explorer Juan Rodríguez Cabrillo, on behalf of the Spanish crown, first landed on Point Loma in 1542. It was the first time that a European expedition landed on what later became California. Cabrillo found San Diego to be a naturally ideal port. Ships landed on La Playa (the name still in use for a small portion of Point Loma), and the first European settlement began in 1769. 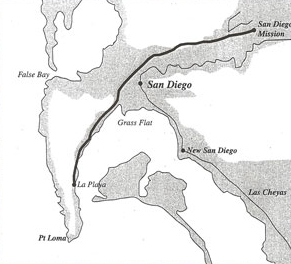 The La Playa Trail, some of which is traced by today’s Rosecrans Street, was the oldest European trail on the West Coast. La Playa (the beach) was the “port” for San Diego, until that duty was handed off to what became downtown in the 1870’s. 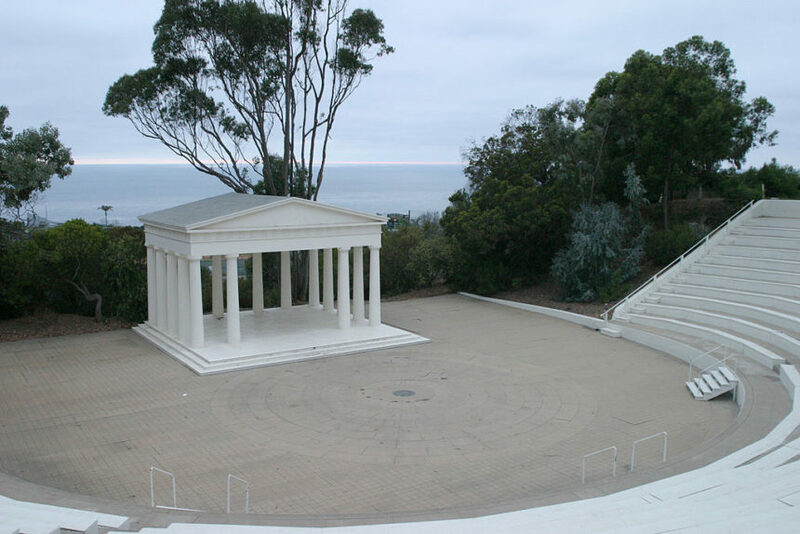 Point Loma has a rich military history, beginning as early as 1852. In the mid to late 1800’s, the Army set up artillery batteries. 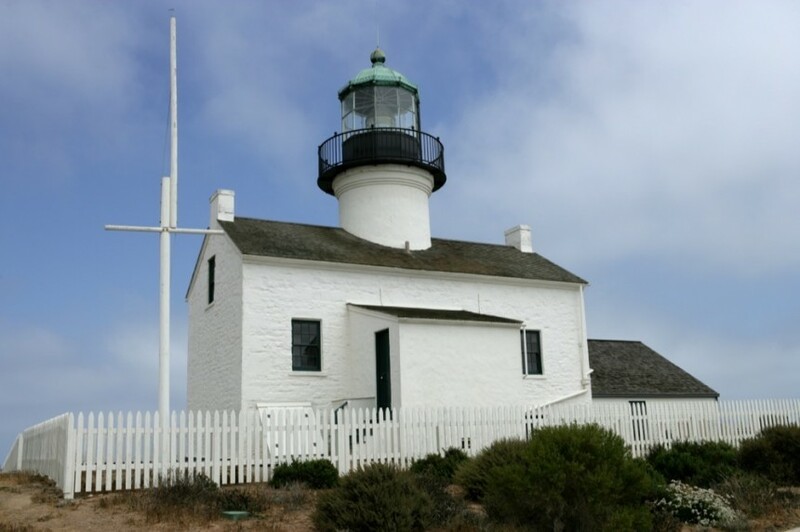 Some of the military’s original installations, including a searchlight that kept an eye on the channel leading into San Diego bay can still be seen on Cabrillo National Monument. World War II era “pillboxes” are still visible in several locations on the point as well. The US Navy first established itself in Point Loma in 1901 with a Navy Coaling Station. Both the Marine Corps Recruit Depot and San Diego Naval Training Center were commissioned in the early 20’s. If you do any investigation of Point Loma history, it won’t take long to stumble upon photos and references to “Lomaland.” This name was given to Point Loma Theosophical community by Katherine Tingley after she moved the group’s headquarters there. In addition to a variety of buildings, some remnants of which can still be seen at the current-day Point Loma Nazarene University campus, Lomaland contributed to shaping Point Loma. In fact, the group actively experimented with planting trees, fruits and other crops. Lomaland and the Theosophical Society there believed in self sufficiency, and members were credited with introducing the Avacado to California. . . an introduction I am personally very grateful for. Their tree planting is also deemed to be the source of many of the trees that make up today’s Wooded Area of Point Loma. Shortly after the great depression the campus was sold to a developer and the society eventually moved to Covina, California and then on to Pasadena, where it still exists today. Although Kitty Hawk, North Carolina gets a lot of fame in the history of Aviation, San Diego – Point Loma specifically, has some interesting aviation history. A dirt airstrip called Dutch Flats used to be located in the flat portion of Point Loma by Midway Drive. No less than Charles Lindbergh himself conducted test flights of his famous airplane, the Spirit of St Louis here. In fact, his plane was built in San Diego by the Ryan Aeronautical Company in the vicinity of the now-closed US Post Office off Barnett Avenue. San Diego’s airport, name Lindbergh Field, was founded in 1928 and is the country’s busiest single-runway airport. Point Loma is a uniquely situated peninsula. On the west / ocean-facing side of Point Loma you’ll find the community of Ocean Beach, zip code 92107. On the east / bay-facing side you’ll find Point Loma, 92106. The main area of the peninsula covers 4,000 plus acres. Point Loma has hilly topography which results in many of its streets being disconnected sections due to intervening canyons. Point Loma’s hilly nature also provides for breathtaking views. Point Loma is situated near the San Diego International airport. For many residents, the proximity to the airport means convenient access to air travel. A short cab ride is less costly and more convenient than airport parking and shuttles. 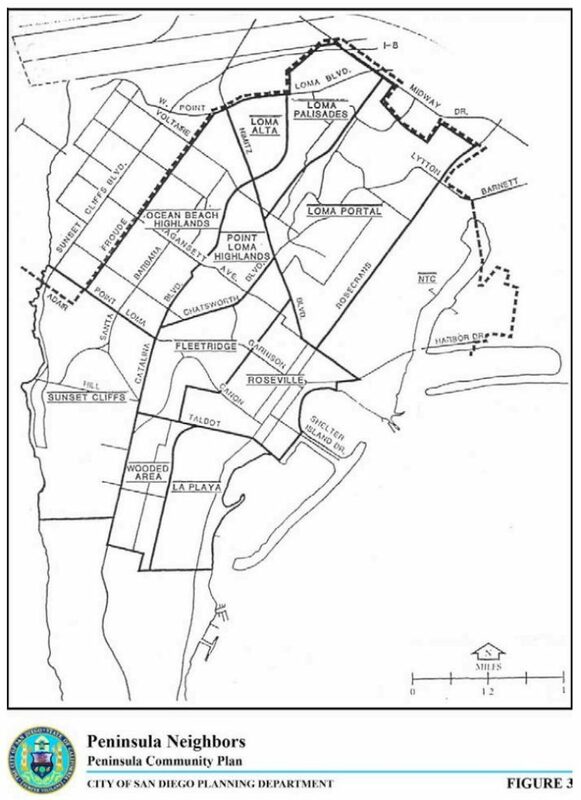 However, the airport also adversely impacts some specific neighborhoods such as Loma Portal, Loma Palisades & Loma Alta (in Ocean Beach) which are directly under the flight path for most takeoffs (more on sound issues in the specific sub-neighborhood sections below). Point Loma is a short drive from downtown and has great access to the water via marinas, beaches, and waterfront trails and walkways. Rosecrans, Catalina, Sunset Cliffs and North Harbor drive are the main arteries for traffic coming into and out of Point Loma. Most single family homes reside on lots under 10,000 square feet. The largest residential lot I am aware of is over two acres, however that size is highly unusual, even among the multi-million dollar estates in La Playa and the wooded area. Home styles and architecture are varied in Point Loma. The highly planned and uniform stucco homes in Liberty Station are the most recent major housing development in Point Loma. If you are a fan of recent construction, not unlike what you might find in a housing development in Carmel Valley, Liberty Station is likely to appeal. Many of the homes in Loma Portal, Fleetridge and Roseville are original mid century homes. However, the number of those homes is dwindling as they are gradually (and in some cases, rapidly) being replaced by custom homes of all kinds. From Spanish and mediterranean stucco-finished homes, to ultra-modern styles, Point Loma’s neighborhoods are varied. Despite the long history of Point Loma, you will see fewer craftsman-style homes here than in the historically and architecturally rich neighborhood of Mission Hills. The varied home styles seen in Point Loma definitely contribute to its unique character and appeal. While not as uniform as stadium seating in a movie theater, Point Loma’s hills and its multi-story homes provide for some amazing views of the Pacific Ocean, San Diego Bay, downtown San Diego, Coronado, the inland mountains, and even Mexico. Not surprisingly, many of Point Loma’s homes are multi-story, with homeowners seeking to maximize their views. 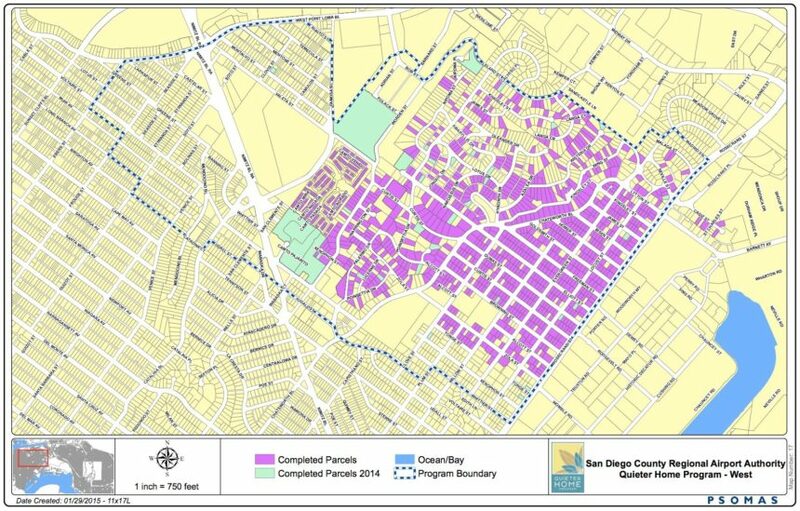 When purchasing a home in Point Loma, “obstructable” is a bad word. Many homes that have views can have those views partially or fully obstructed by a neighbor building up. While there are some homes that have deed restrictions preventing them from building up (thereby protecting another property’s view indefinitely), those are the exception rather than the norm. If you’re zeroing in on a view home in Point Loma, it’s worth having the title company investigate the status of homes that could potentially block the view. If there are no restrictions on building up and encroaching on your potential view, it’s best to go into the purchase keeping a worst case scenario in mind. Of course, if you’re purchasing a one story home, many homes in Point Loma can achieve a dramatically better view by adding a second story. The views themselves are hard to beat anywhere in San Diego county. Views of San Diego Bay are ever-changing. Military ships, cruise ships, and an endless mosaic of sailboats paint a canvas that is always fresh. Unlike ocean views, which turn into a black void at night, the shimmering lights of downtown San Diego keeps the show going long after sunset. Because of the varied topography on the Point, some neighborhoods are more known for their views than others. More details on that in the neighborhoods sections below. Although there is significant variation in home values depending on the neighborhood you’re seeking in Point Loma, for the most part home values are well above the median for San Diego County. 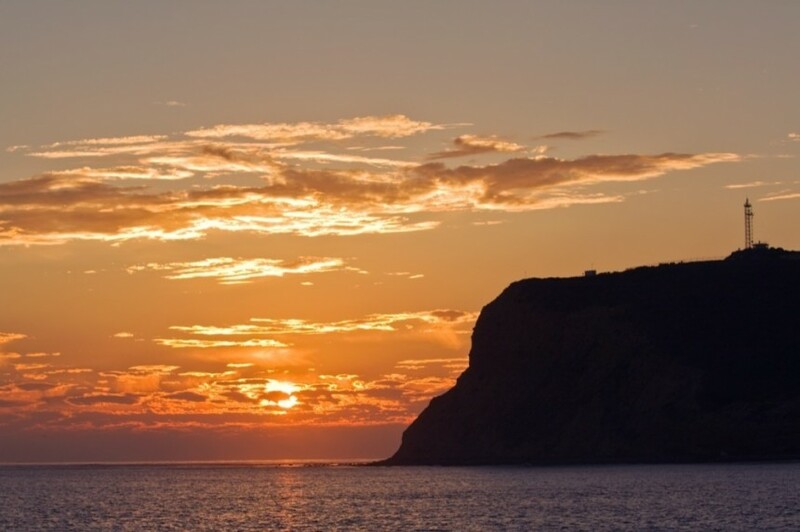 Point Loma is a highly desirable place to live, and condo and home prices tend to reflect that. Below, you’ll find a graph showing the media sales prices of homes in the 92106 and 92107 zip codes. The data reflects the last three years and it is automatically updated to be current. When doing a comparative market analysis to determine the estimated value of a home in today’s market, the price per square foot is often a key component of this analysis. An agent or appraiser will typically take the price per square foot range, (arrived at by selecting recently sold properties that are comparable to the subject property), and then multiply that price per square foot by the number of square feet in your home. Price per square foot can vary dramatically for certain homes, but the figures are still an excellent way to gauge the value of a property. Below, you’ll find the average price per square foot, again taken over the last three years. Stand-alone, single family homes can be found in Point Loma for under $700,000. Homes in that lower end of the price range for Point Loma tend to be relatively small, and are often closer to the flight path for Lindbergh Field. The median sales price (as of November, 2014) for detached homes in Point Loma is over $800,000. Most homes with good views, regardless of the specific sub-neighborhood of Point Loma, tend to be in the $900,000 and up range. Despite some absolutely amazing properties with some absolutely spectacular views, even multi-million dollar estates seem relatively moderately-priced when compared to properties in neighborhoods like La Jolla. Condos in Point Loma span a wide pricing range. Condos start off roughly in the mid $200’s, and can top $1 million in the more desirable locations in La Playa. Median pricing for condos and townhomes in Point Loma is around $500,000 as of November, 2014. Condos in the lower end of the price range tend to be found in some of the older developments, most of which are in the vicinity of the flight path. Condos and townhomes are more plentiful in lower portion of Roseville, closer to Rosecrans. There are also several new townhome and condo developments springing up in Roseville, most notably the 40 unit Waterpoint development, next to Point Loma Seafoods. Le Rondelet is also well-known for its condos that all seem to have a front row seat with incredible views of the beautiful waterfront thanks to its location at the entrance to Shelter Island. Le Rondelet and some of the other condominiums can have relatively high HOA fees, so that’s an expense definitely worth taking into account as you evaluate a potential condo purchase. Some of the most exclusive and sought after condos in Point Loma are in a cluster centered near Kellog Beach in La Playa. The section of “trail” I am referring to here begins just outside the San Diego Yacht Club. From the club, a dirt trail leads south along the water. The trail then becomes a residential street (San Antonio Ave) in the vicinity of Southwestern Yacht Club. At the end of the street, you’ll pick up another short, sandy trail that leads to Kellogg Beach, another treasured spot loved by locals. Between the amazing waterfront homes, marinas filled with boats, and exceptional views of San Diego bay, this walk is hard to beat. Luckily Shelter Island isn’t truly an island, so you can leave your swim gear behind. Shelter Island Drive takes you along a path straight towards San Diego bay. Wide sidewalks on both sides of the street are a bit removed from the street traffic. On the way in, you’ll pass boat yards and yacht brokerages. Once on the point, you’ll find mostly hotels. If you head South on the island, there’s a quiet paved path on the West side of the island with great views of the marinas, yacht clubs and Point Loma. That path can take you all the way around the southern tip of the island. From there the path parallels the bayfront, where you can watch ships come in and out of San Diego bay. If you make your way back north on the island, you’ll eventually land at Bali Hai restaurant, where you can enjoy an improbably-strong Mai Tai (no juice included!) while taking in some of the most scenic bay and downtown views in San Diego. 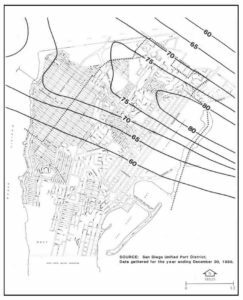 Despite the massive development of both residential and commercial space at Liberty Station, thankfully a large swath of land was set aside for open space and park use. The east-facing portion of Liberty Station is “filled” with large grass fields, kids playgrounds, and a trail (both paved and dirt) that parallels the water’s edge on a channel of water from San Diego bay. Hikers, joggers, skaters and bicyclists can all be found enjoying this public space. The end of the trail where the channels dead-ends can be quite loud, but it’s a fun place to watch jets from Lindbergh Field take off directly overhead. At any point on the trail you’re likely a short walk from nearby coffee shops, restaurants, or, a bench to take in the view from. Being on a peninsula has both advantages and disadvantages when it comes to travel by car. On the plus side, because the southern end of Point Loma doesn’t actually connect with anything other than the ocean, “through traffic” doesn’t actually exist. However, the submarine base at the end of Rosecrans and Cabrillo National Monument and other military installations at the end of Catalina result in significant vehicle traffic flowing into and out of Point Loma. All traffic into and out of Point Loma occurs on Rosecrans, North Harbor Drive, Catalina and Sunset Cliffs. If you happen to pick a home on or close to one of these major thoroughfares, expect to see quite a bit of traffic. For those off the major thoroughfares, much of Point Loma has minimal vehicle traffic. Liberty Station has become more and more of a destination for locals as well as those visiting from outside Point Loma. Its development led to the addition of several traffic signals on Rosecrans. The Rock mega-church draws in crowds large enough to warrant a weekend army of traffic control personnel, so it’s best to avoid that area Sunday during peak service times. From a more positive perspective, many stores and services that weren’t available pre-Liberty Station are now readily available in Point Loma, reducing the need to leave the Point for most errands. Commute times to and from Point Loma of course vary depending on time of day. For anyone seeking easy access to downtown, without actually living downtown, Point Loma is ideal. A short hop on North Harbor Drive past the airport takes you directly downtown in a matter of minutes. For commutes further south, east or north, it’s important to factor in some time just getting to the freeway. If you’re living in La Playa or Roseville, just getting to the 5 or 8 freeways can take 10-20 minutes depending on time of day. If you’re thinking of buying in Point Loma, or anywhere else for that matter, I recommend doing trial “commutes” in and out of the area at the same times you’d be likely to be commuting. For most people on Point Loma, the benefits of living here outweigh a little extra time to get to the freeways. In addition to these public schools, there are also several charter schools (located in Liberty Station), including Explorer Elementary and several High Tech High schools (elementary, middle and high schools). Private schools include Warren Walker (PK – 8th grade), Pioneer Day School (K-12), and the Rock Academy (K-12). Cabrillo National Monument is part of the National Park System. If you are a resident in the area, a park-specific annual pass is a bargain that will let you enjoy the park for a full year. 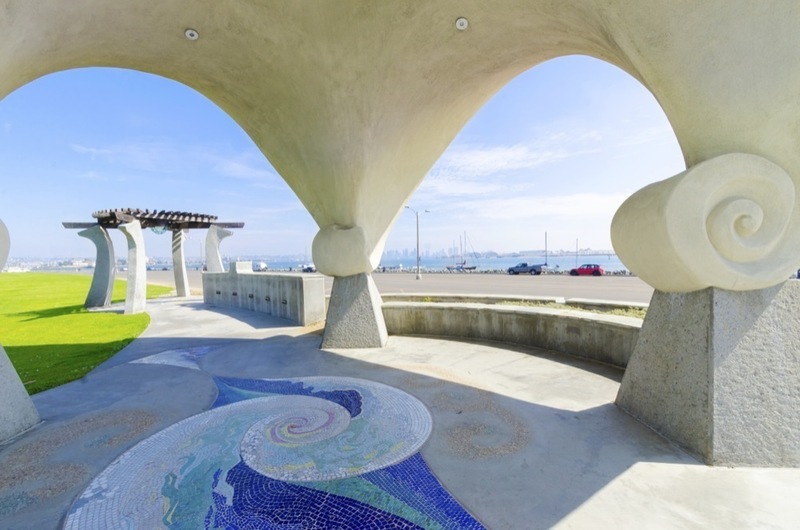 The park features some of the most stunning views of the ocean, Coronado and San Diego bay. Down a short windy road, you’ll find some of the best Tidepooling in the area as well. It’s a fun place to take kids to explore. Another favorite walk of mine is the Bayside Trail. It departs near the lighthouse and winds its way along the cliffs facing the channel in and out of San Diego Bay, with views directly out to Coronado and beyond. San Diego used to be the tuna fishing capital of the world. Visit a few of the local seafood eateries and you’ll see historic photos of hearty men armed with little more than a pole, line and hook flinging giant tuna weighing hundreds pounds over their shoulders. While those days may be gone, it’s not uncommon to see some impressive catches coming in off the sportfishing docks in Point Loma. You can book a fishing trip for a half day in local coastal waters, to multiple overnights aboard a charter that will take you fishing in Mexican waters. Even if you’re not looking to fish, the sportfishing docks can be a fun place to stroll or grab a bite to eat. With numerous yacht clubs based in Point Loma, it should come as no surprise that boating is a big part of Point Loma. Southwestern, Silver Gate and San Diego Yacht Club all find themselves clustered around the scenic waterfront encircled partly by Shelter Island. Motorboats and sailboats bob lazily in row after row of docks. 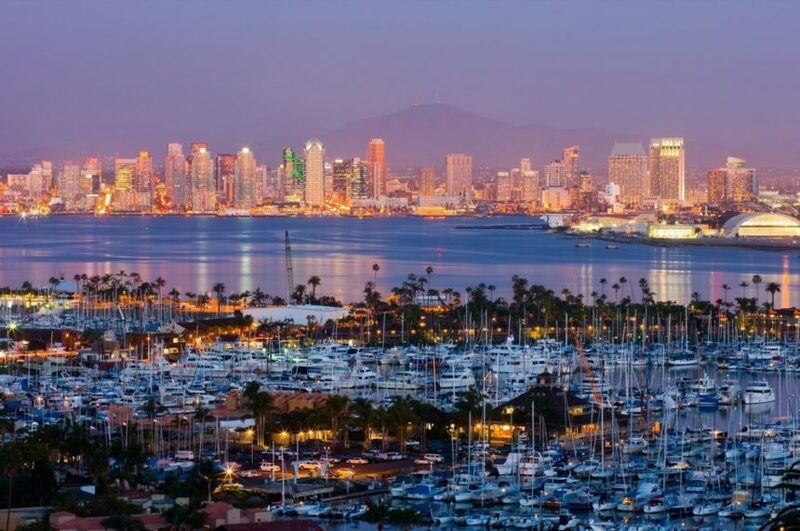 Both boating enthusiasts and spectators can enjoy the boating paradise created by San Diego’s consistent afternoon breezes, beautiful bay and easy access to the Pacific ocean. Stand Up Paddle Boarding has caught on wildly in Point Loma. The protected waters of the various marinas and sheltered coves make an ideal playground for those looking to explore and play on the bay. Rental and retail stores for Stand Up Paddleboards (SUP’s) can be found in the village of Point Loma, Shelter Island, by the sportfishing docks and over by the channel that runs the length of Liberty Station. Humphrey’s is a favorite concert venue for both locals and music lovers from far and wide. World class musicians put on intimate concerts in the open air space provided at Humphreys. More adventurous yet thrifty local concert goers will often take a kayak or small dinghy up close and catch the concert for free, directly from the water. To get a sense of the type of talent Humphrey’s can draw, check out their concert schedule for 2015. December through April is the main whale watching season here in San Diego, and Point Loma and Ocean Beach are great vantage points. Gray whales make their migration south to Baja consistently this time of year. Most serious whale watchers take to the sea with a local charter or whale watching outfit. Blue whales are also found in the waters off Point Loma, typically more during the summer months after the gray whale season has passed. I have even managed to do a little whale watching picking up my daughter from school at Sunset View Elementary, which has a spectacular view of Sunset Cliffs and the Pacific Ocean. This is a personal favorite event of mine, even though it has not been sponsored by Pacific Sotheby’s International Realty, (yet?!) A series of five Friday concerts kick off in mid-July and run through early August. The band for each Friday varies and there’s usually a good mix of genres, most of which are dance-able. Locals from OB and Point Loma converge on the venue, held at Point Loma Park, which is at 1049 Catalina Blvd, between Point Loma Avenue and Talbot Street. The concerts are completely free, and there’s usually some food for sale on-site, although most people bring a picnic style dinner. The entire field tends to almost completely fill up, so if you’re particular about seating get there early. Oh, and it’s BYOFC – Bring Your Own Folding Chair, and picnic blanket. The concerts run from 5:30pm until about 8:30pm-ish. More details on the Point Loma Summer Concerts website. My family and I happened to stumble across the parade for this event when we were out for a walk several years ago. My daughter was delighted to see the most fancy dresses and outfits in her life. The The Festa do Espirito Santo, or Feast of the Holy Spirit, is an annual event, and anchor point to the vibrant portuguese community that is so much a part of Point Loma and San Diego history. The parade is very fun to watch, with multiple marching bands, floats, and some very stylish traditional attire. It is an event that has been taking place annually here since the early 1900’s. After the parade wraps up, follow the crowd for an outdoor party complete with traditional Portuguese fare delivered casually. Given that this event is sponsored in part by the Louisiana Office of Tourism, it should come as no surprise that this event involves zydeco, blues, and of course, crawfish! The event features dozens of musicians, numerous food vendors (not just cajun), and family-friendly activities. More details at SanDiegoFestival.com. Thanksgiving is the official go-live date for the holiday decorations on Garrison Street, just off Chatsworth Boulevard in Point Loma. In a spectacle that no-doubt delights both spectators and Sempra Energy shareholders, you’ll find tens of thousands of lights and both traditional and contemporary holiday scenes. The best way to take it in is on foot, so throw on a coat, grab a hot cocoa, park the car and enjoy! – A carbo-loaders delight and longtime neighborhood fixture. Live music & bar. – One of my favorites for casual dining. Fresh delicious salads and tasty daily specials. – My favorite Thai restaurant in San Diego. Fresh food with vibrant flavors. 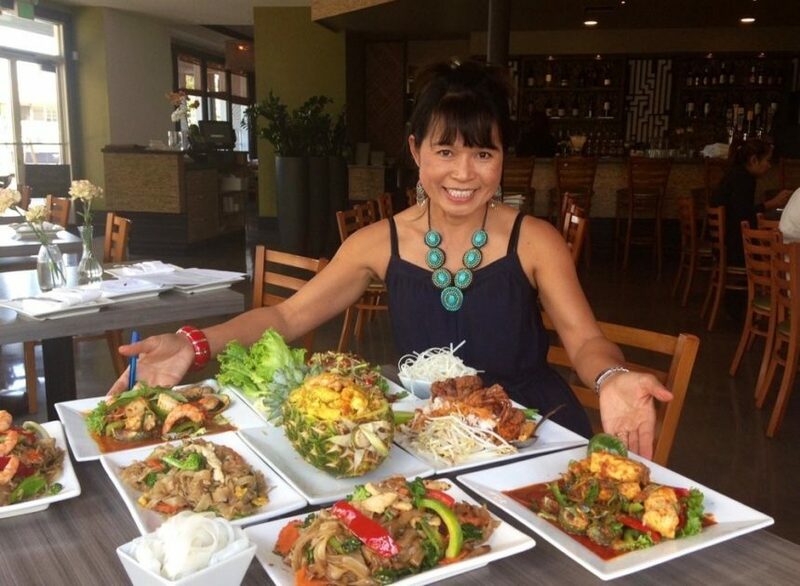 Supannee House of Thai – The best Thai food in San Diego, right here in the village of Point Loma! – Hands down the best fries around. Tasty bar grub and a solid selection of craft brews. – Normally I try not to dine anywhere with “Bait” in the name, with the exception of Fathom’s. Great brews right on the water at Shelter island, and surprisingly good dogs. – Around since 1963, paper plate dining with some of the freshest seafood around. Be bold for counter service, it’s survival of the fittest. – Solid happy hour with great, waterfront location and patio dining. 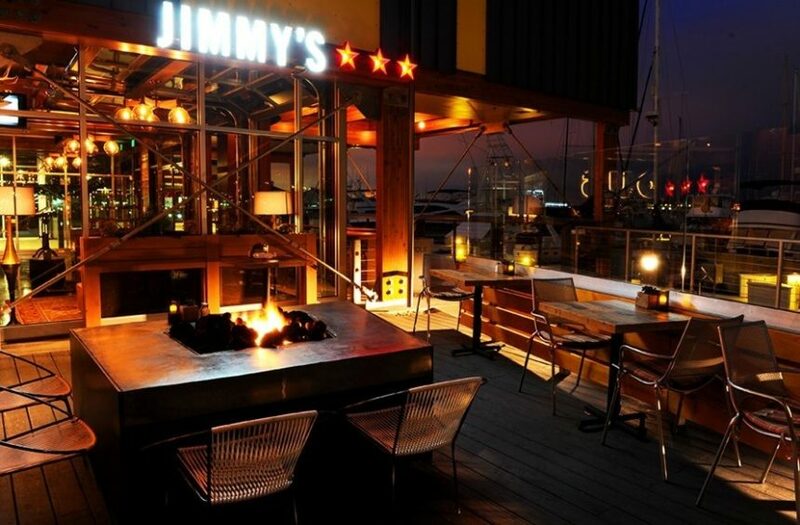 Jimmy’s Famous – Waterfront views and a warm, festive atmosphere await! – Casual, waterfront dining with salads, woodfired pizzas and pasta. Don’t forget the garlic bread balls! – Farm to Table juices? You can taste the love that goes into the smoothies here. – Another popular Italian restaurant in the heart of Point Loma Village. – The best bread in San Diego. Good sandwiches, and don’t miss their signature chocolate bread on the weekends! – “Life’s better buzzed” Tasty coffee drinks, smoothies, sandwiches and snacks. Drive-thru available. – Endless changing craft beers, a huge restaurant and grounds. Located at the north end of Liberty Station. which are one- and two-story structures with relatively contemporary architectural styles. “Loma Portal extends north of “The Village,” east of Worden and north to the plan boundary. development, generally two, three and four stories with no particular design theme. “Loma Alta is bounded by West Point Loma Boulevard Famosa Boulevard and Valeta Street. there is a strong visual association between this neighborhood and the Ocean Beach community. *Quoted Initial paragraphs quoted above are provided by the Peninsula Community Plan. 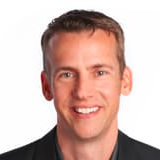 If you’re ready to explore selling or buying a home in Point Loma or Ocean beach, please contact me via the form below or the contact information at the top of the page. I look forward to working with you!